A person who feels appreciated will always do more than is expected. 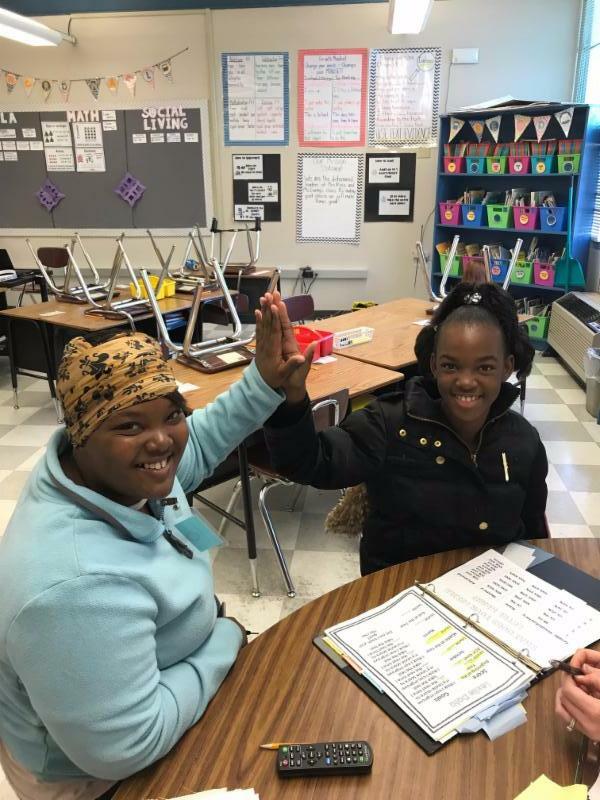 Student led conferences at Bains are full of helpful information and smiles, and they are very inspirational. This is not your mother's parent-teacher conference. 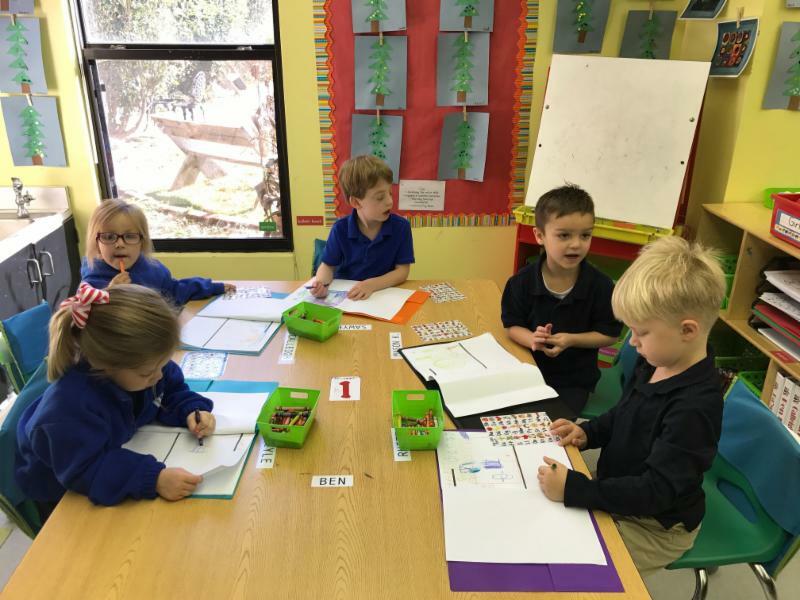 These conferences are led by the students. The student reviews their portfolio, which includes student work, student data, goals for the year, and self-evaluations. 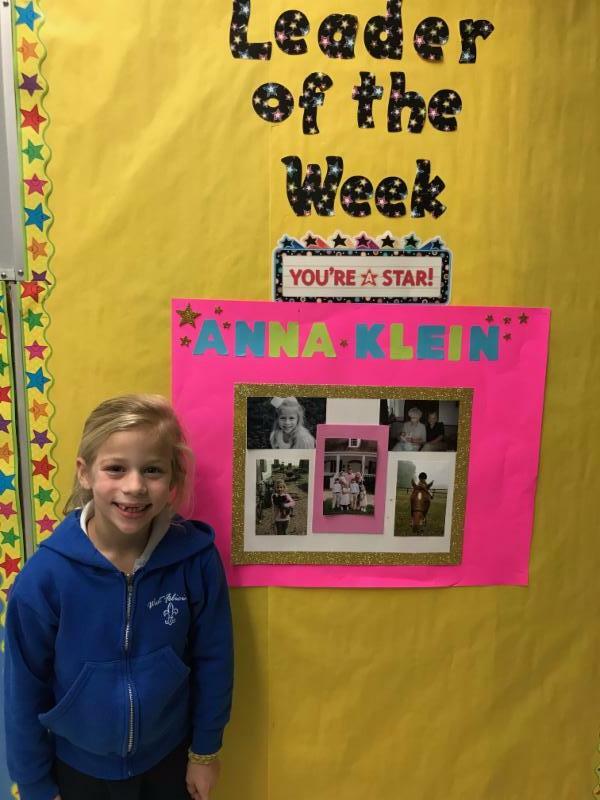 When students set goals, good things happen. 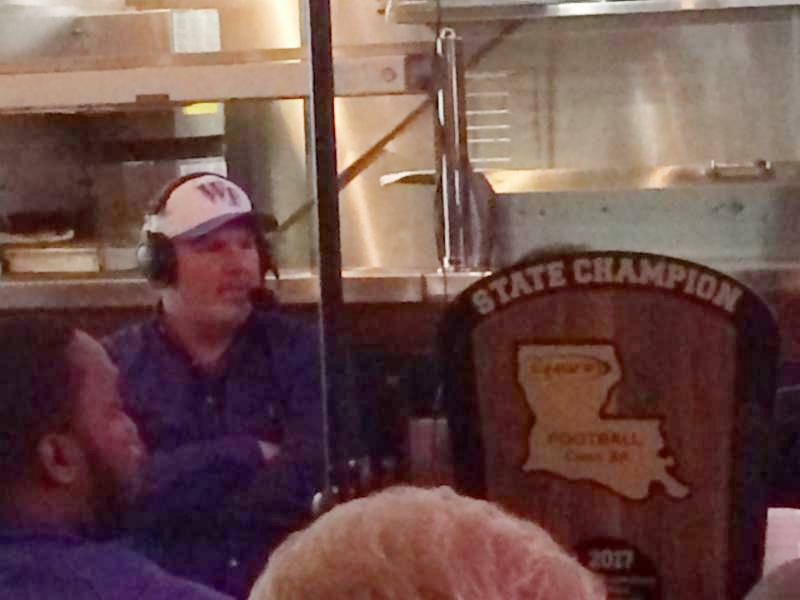 They learn how to work toward a goal, to make adjustments, and they understand how success happens. 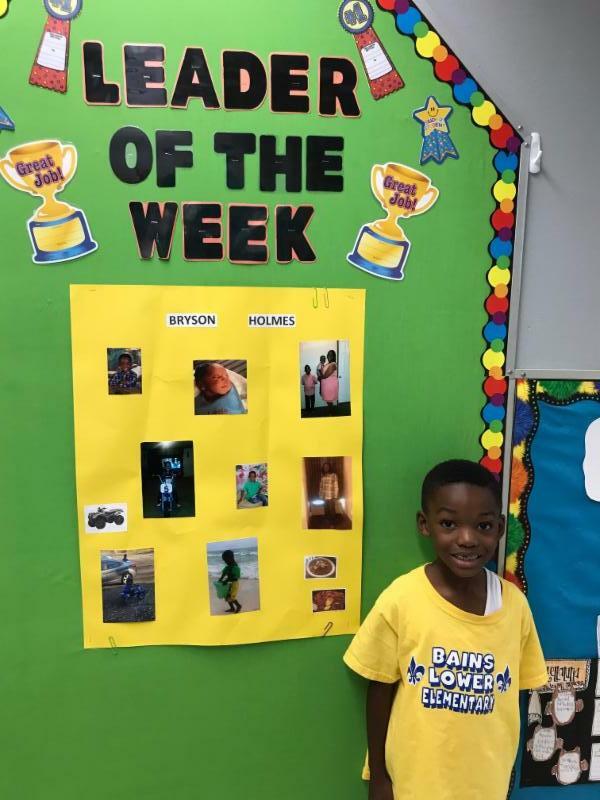 Kudos to Bains for offering this opportunity to our students and parents! 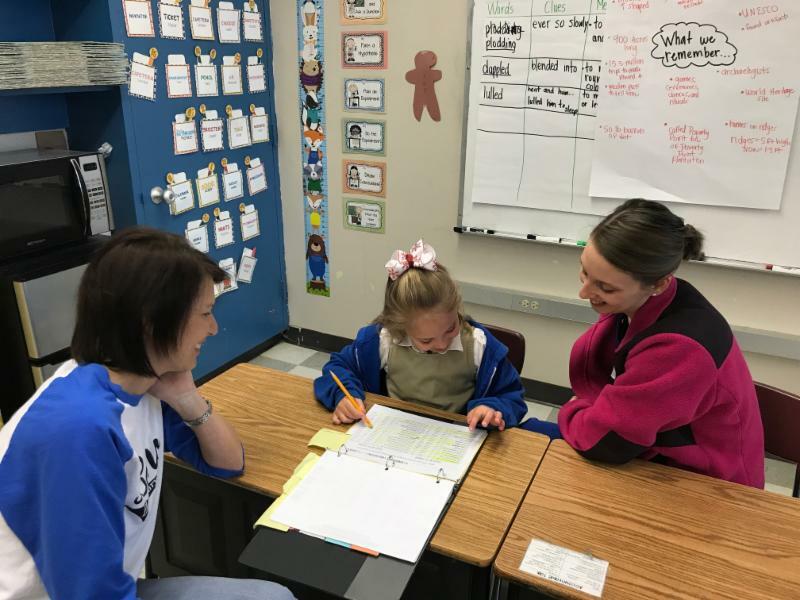 McKenzie Hausey reviews her goals and her data with her mom and Ms. Rosenbach, her teacher. 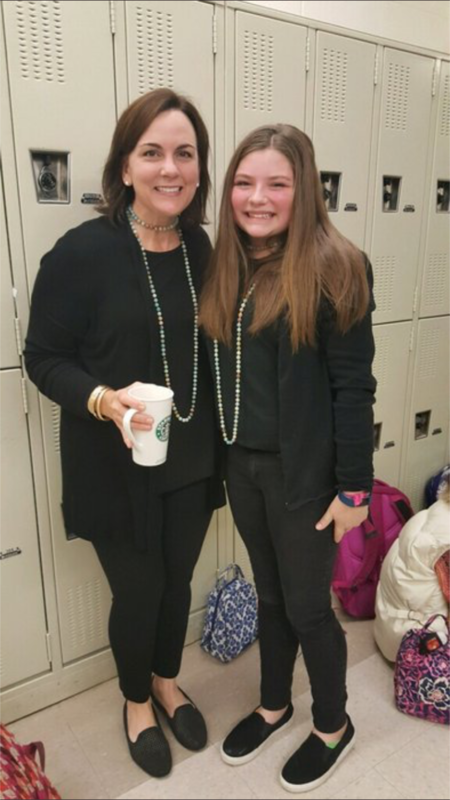 McKenzie Hausey and her mom celebrate after McKenzie showed huge success in accomplishing her reading lexile goal. 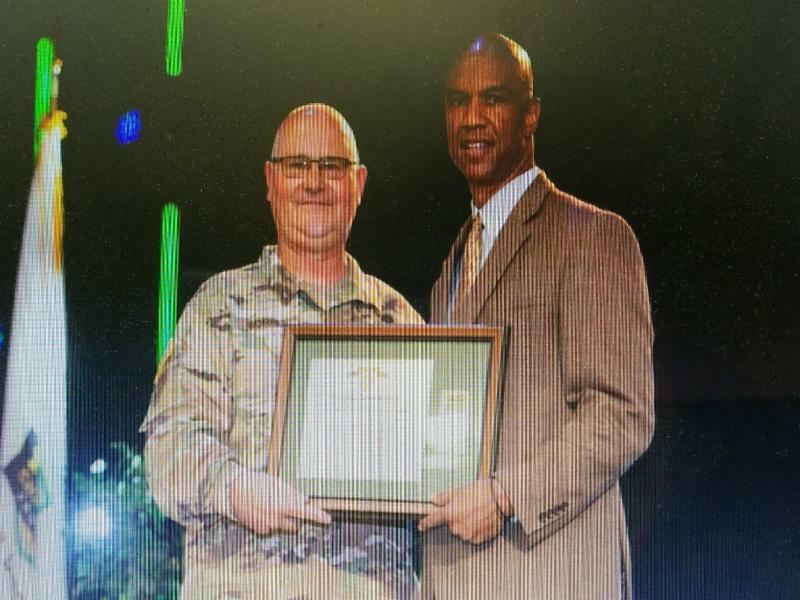 Congratulations goes to Mr. Lee Coleman for being selected as the 2017-18 Louisiana National Guard Mentor of the Year! 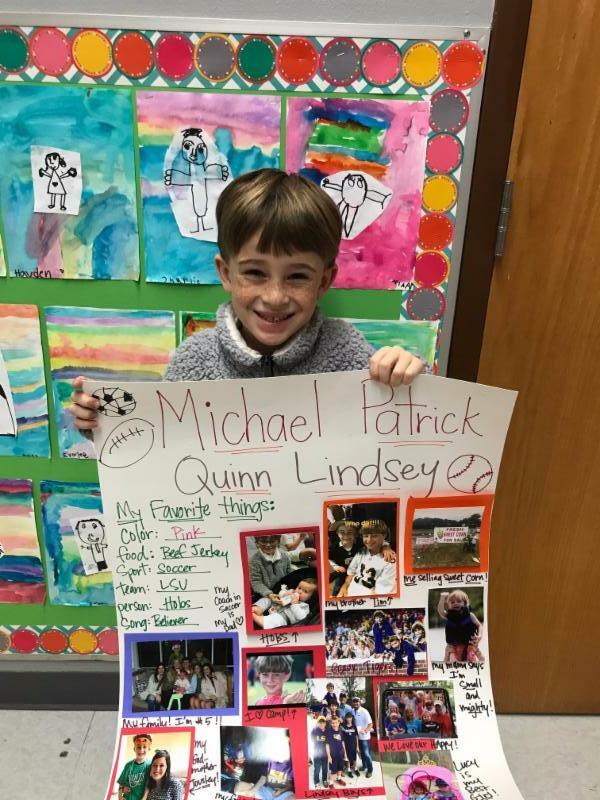 Mr. Coleman is our Family Service Supervisor. 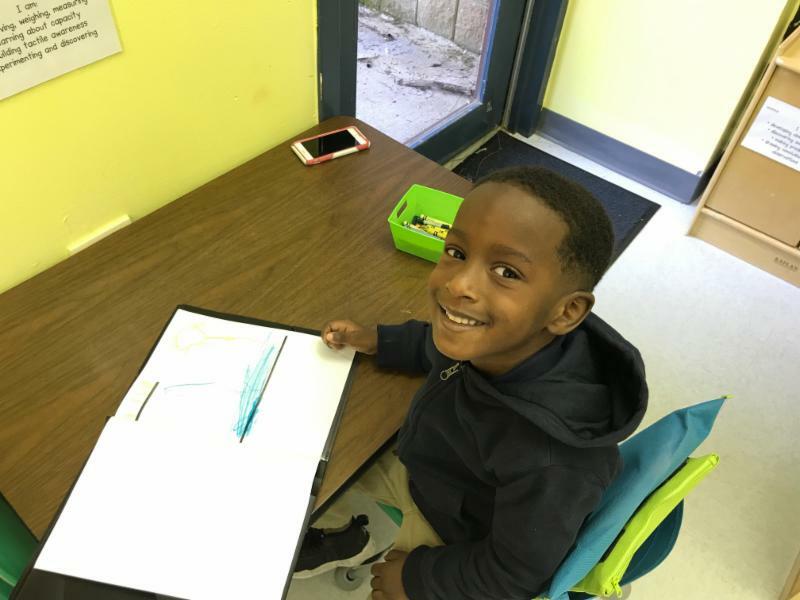 He supervises our Head Start, Early Head Start, Adult Education Program, our Medical Facility, and serves on numerous committees. He also does a lot more, including starting up a mentoring program for which he was recognized. Mr. Coleman is not only a veteran educator but he is also 27-year veteran of the Air National Guard. 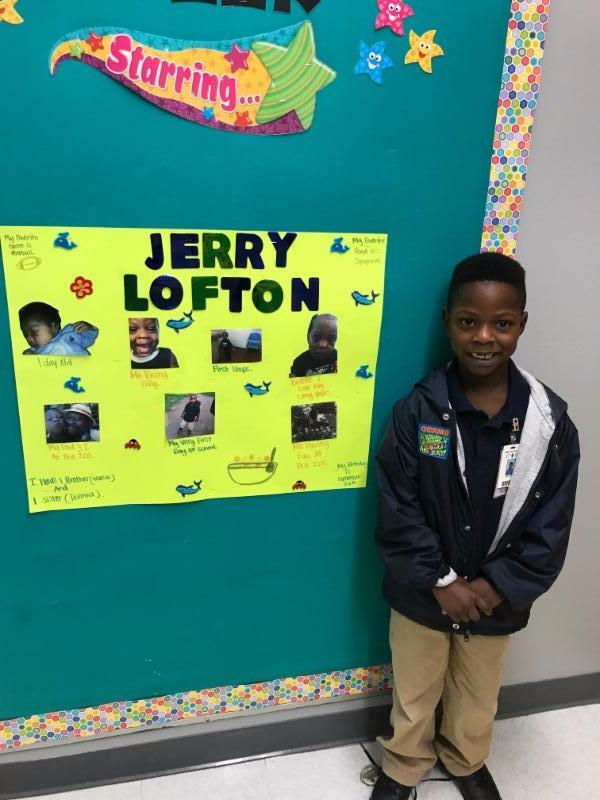 And by the way, he has been a student, teacher, and assistant principal in West Fel. 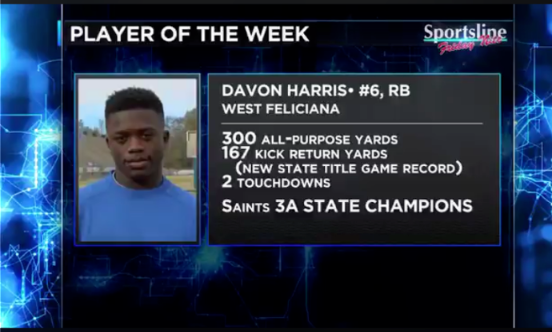 Davon "Smoke" Harris was awarded Channel 9's Player of the Week! 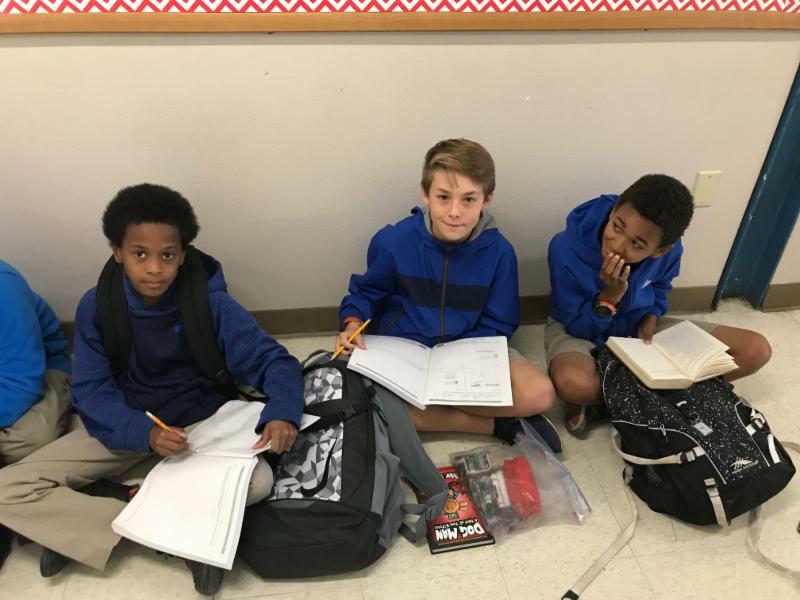 At Bains, students take time before school to review homework, study, or just read. It's a Bains thing. 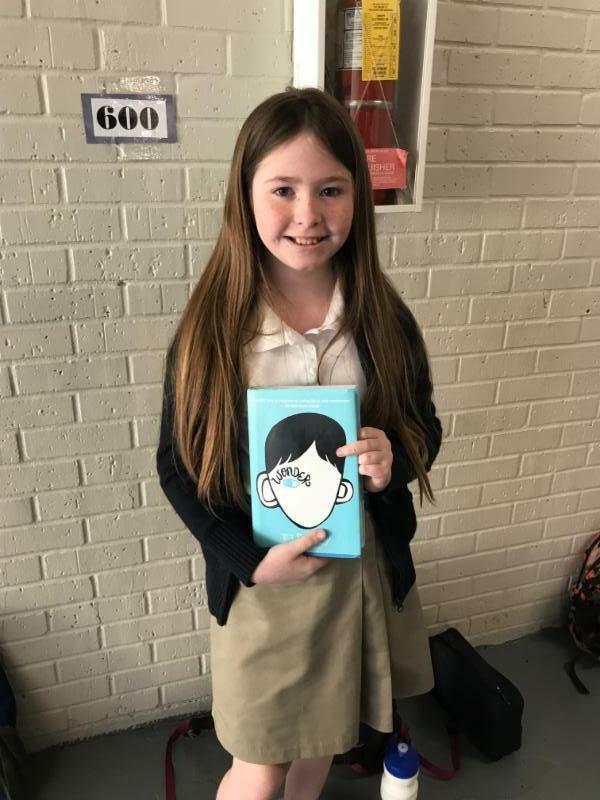 Anya Riley is reading Wonder. 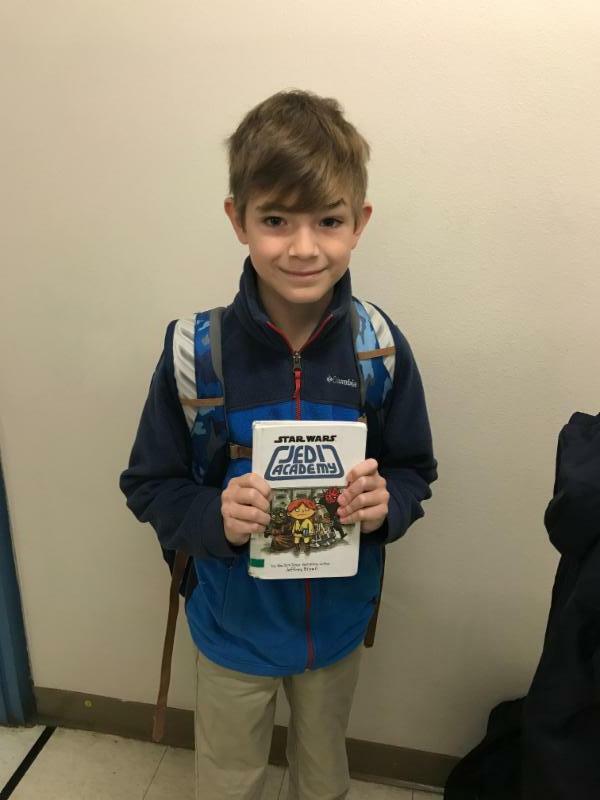 Burke Sumerford is reading Jedi Academy. 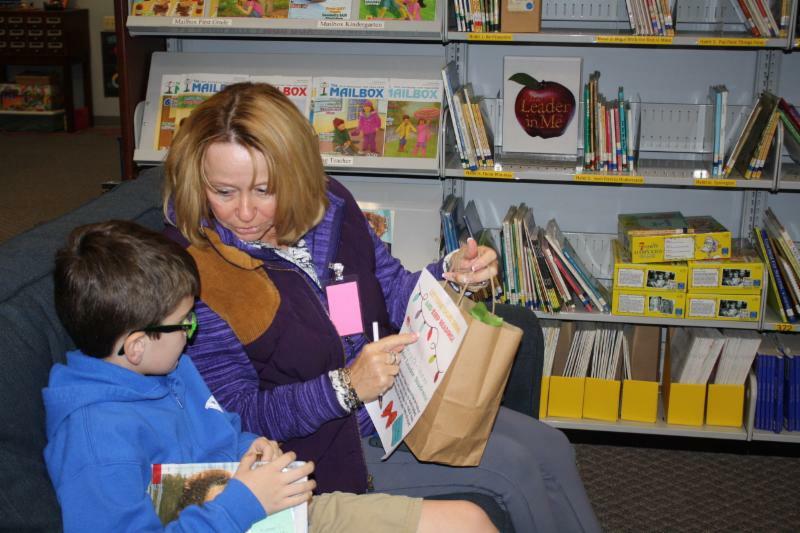 The North American Young Generation of Nuclear (NAYGN) at Entergy River Bend bought books for our Reader Leader Students so that they can keep reading over the Christmas Break. 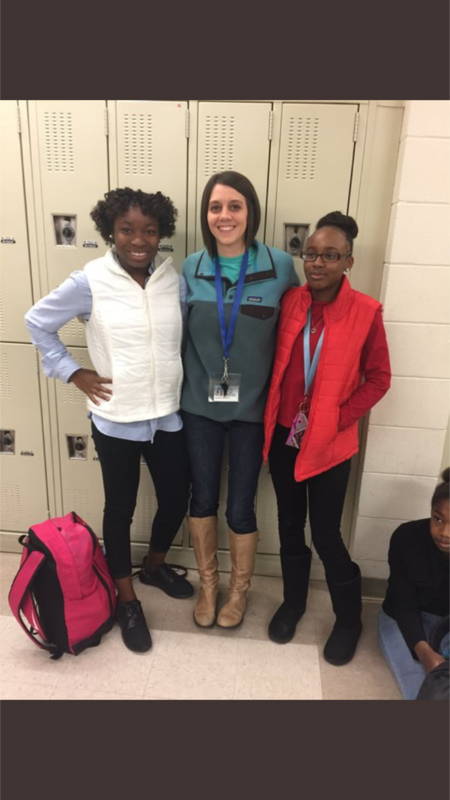 WFMS celebrated Dress Like Your Favorite Faculty Member Day on Thursday. 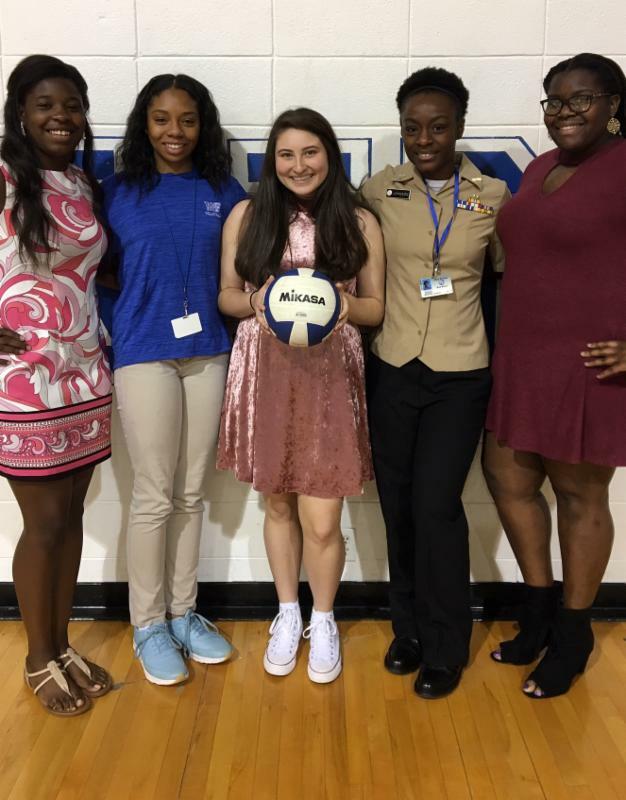 Congratulations goes to Saints Volleyball players Keyana Cummings, Daelyn Weaver, Rachel Ellison, Trelencia Johnson, and Destiny Carter for earning All-District Honors! Special congratulations goes to Trelencia for being named Defensive Player of the Year! 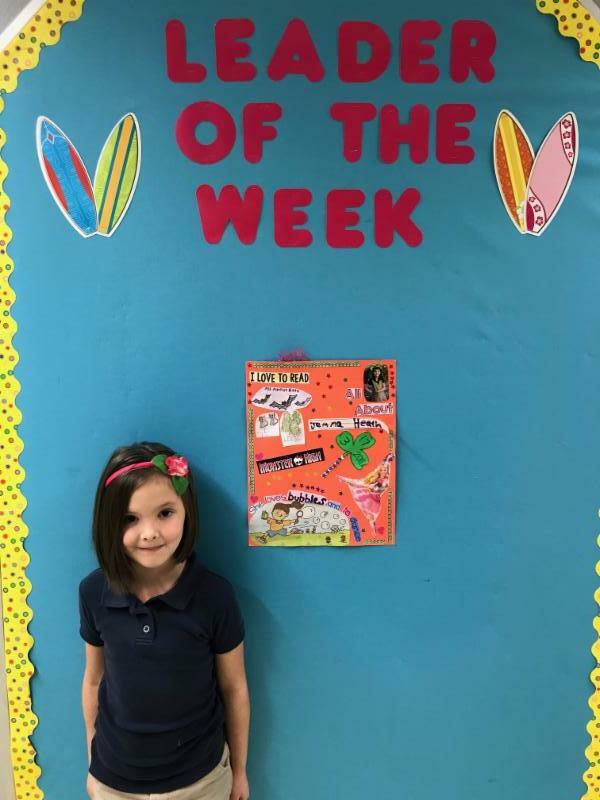 Congratulations go to Jerry Lofton, Jemma Heath, Micheal Patrick Quinn Lindsey, Bryson Holmes, and Anna Klein for being selected as Leaders of the Week at Bains Lower! 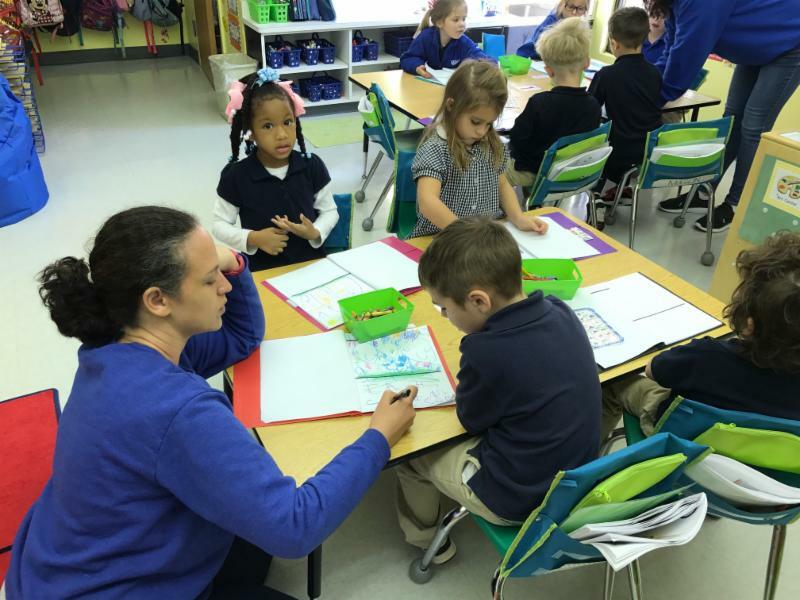 Students at Bains Lower had an opportunity to draw and write about the State Champion Saints in their journals. 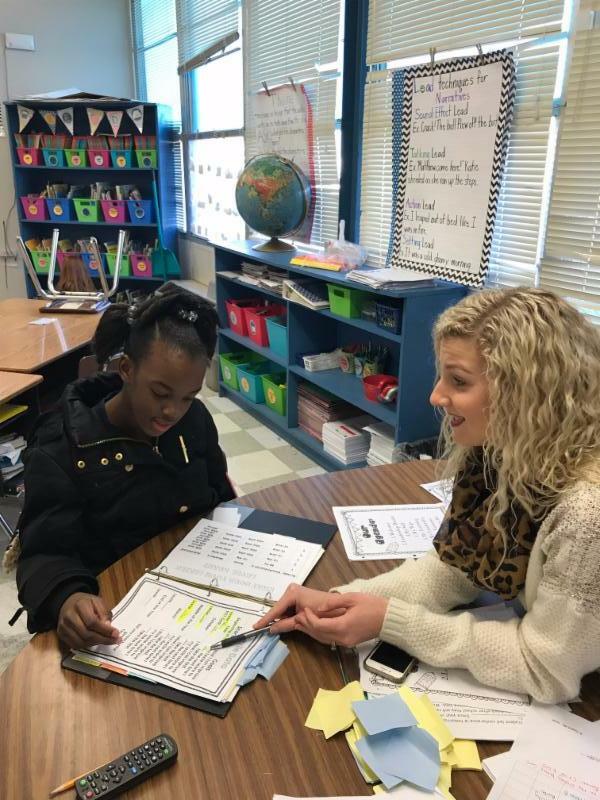 Ms. Maria Kilcrease (Para Professional) assists students through their brainstorm in the writing process. Benjamin Haynes is excited to show his work! 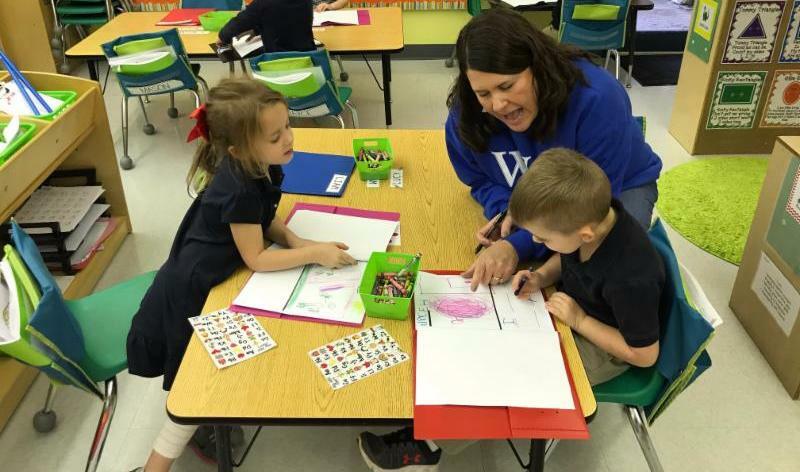 Ms. Liza Bryant (teacher) assists students so that they can place details into their writing, which was based on their drawing. 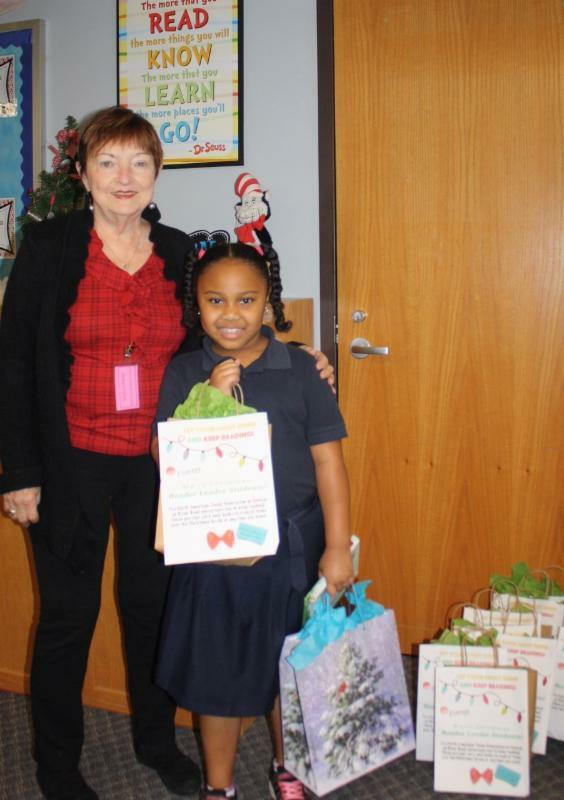 At Bains Lower, students learn a lot of real world skills, like buying presents for mom and dad for Christmas! 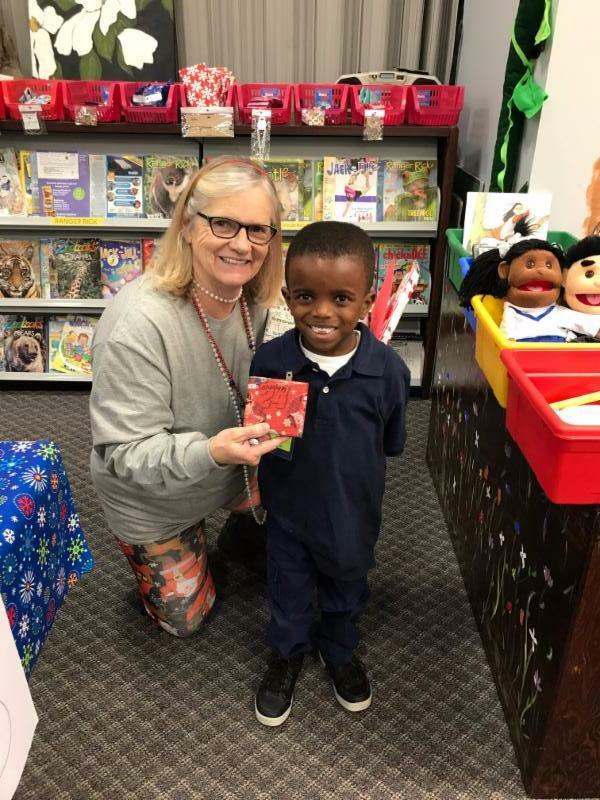 Jonathan London (Pre-K Student) buys a gift for his parents! 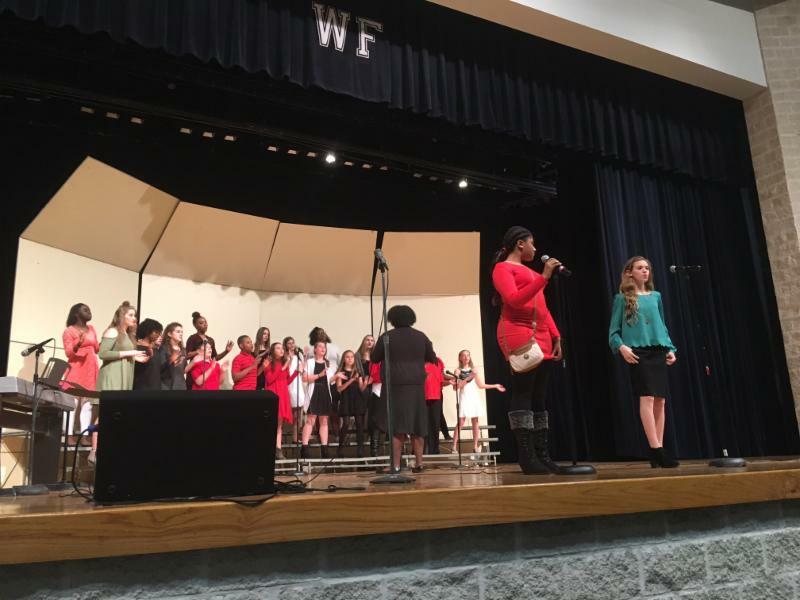 The WFMS and WFHS Choirs joined together to create a Christmas Musical Performance under the direction of Choir directors Ms. Cierra Fountain and Mr. Brandon Blaylock. 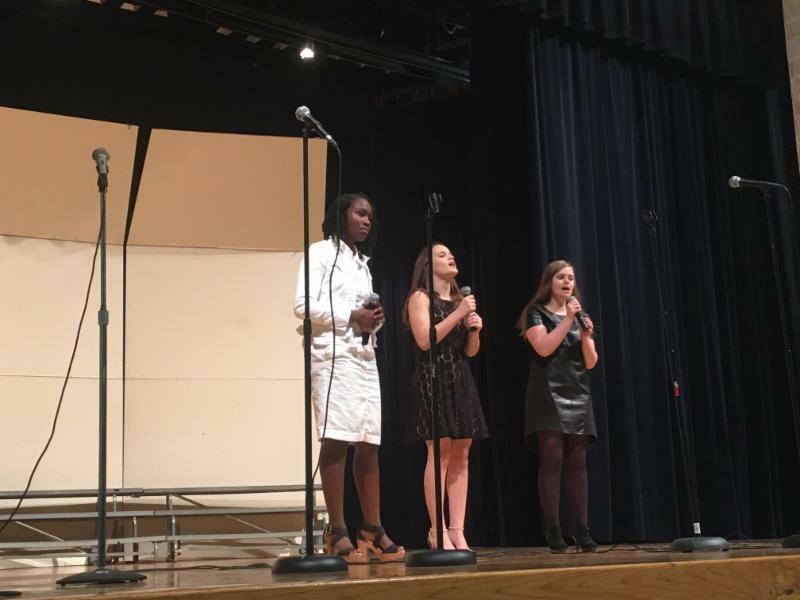 WFMS Choir performs under the direction of Ms. Cierra Fountain. 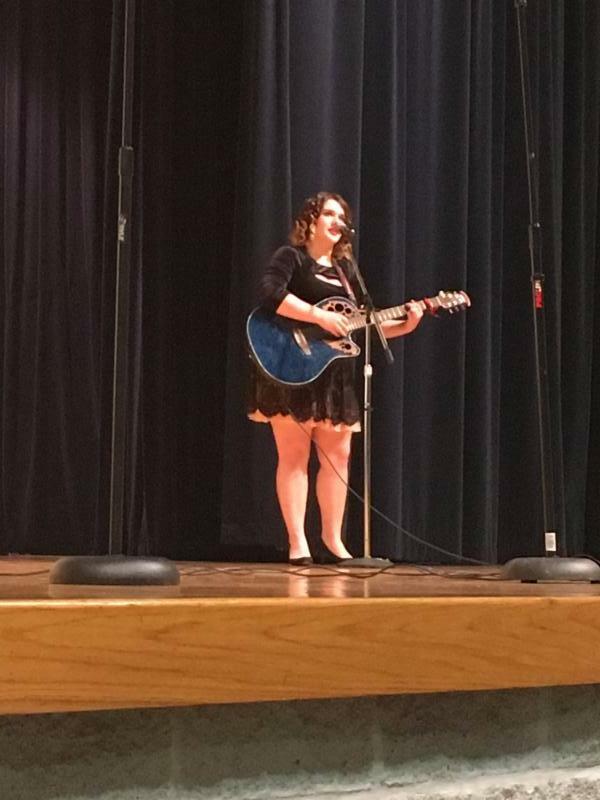 Avery Landrum performs an original Christmas Song. 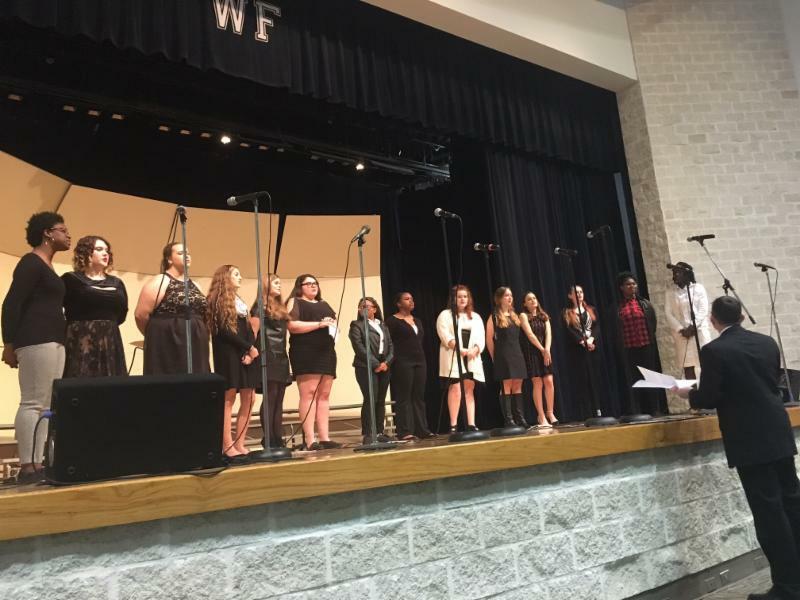 WFHS Choir performs under the direction of Mr. Brandon Blaylock. 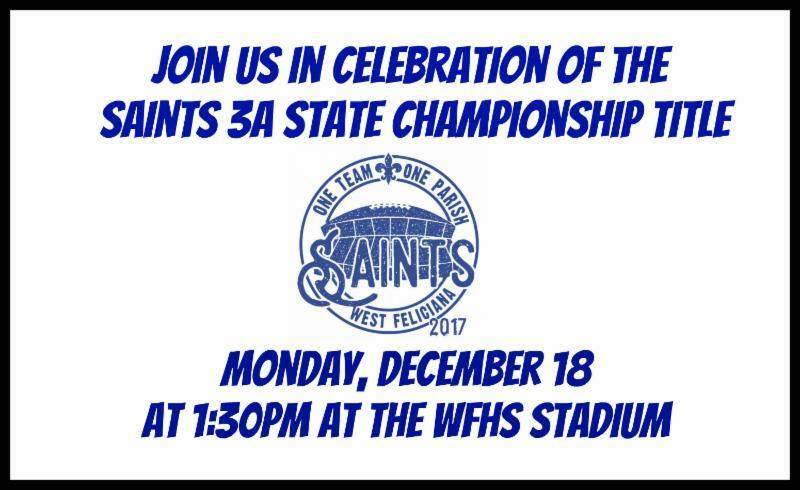 If you cannot make the Saints Football Celebration, you can view it on LiveStream by clicking here. 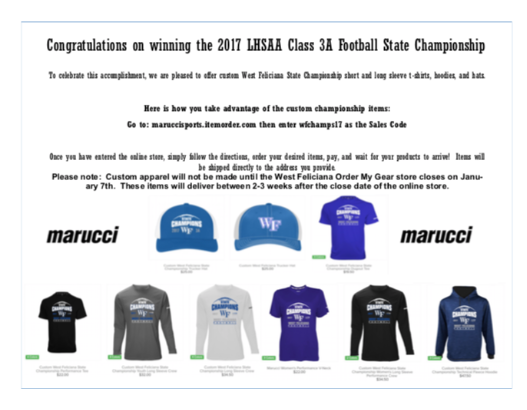 For more information on buying championship gear, please click here. Then enter wfchamps17 as the sales code. At this time of the year, we all begin to reflect on the blessings we have in our lives. I hope that you have some time to appreciate what you have and that you can share your joy with your family and friends. For some, Christmas might be more difficult so please lift up others with a kind word or a smile or a helping hand. 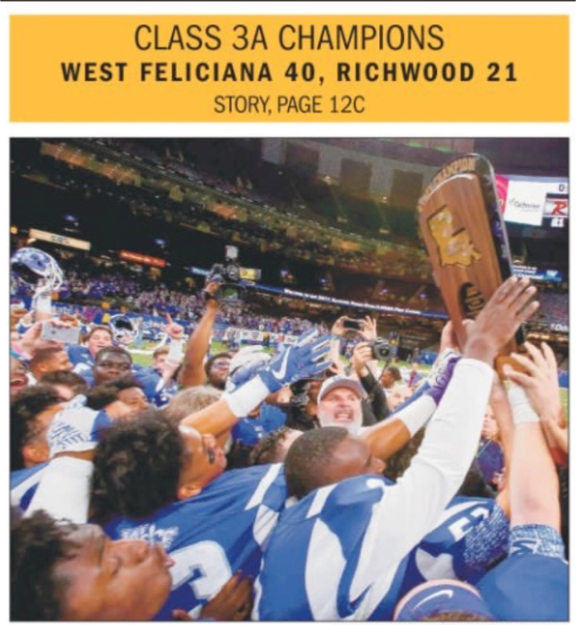 From the West Fel Saints Family to yours...Merry Christmas and Happy New Year! 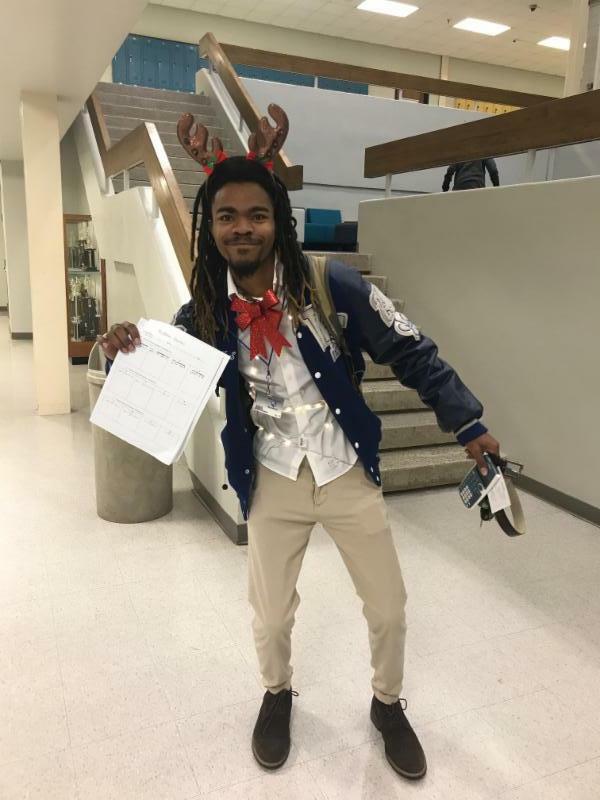 WFHS Senior, WJ Johnson, celebrates the holiday spirit!